Can Themba’s achingly sad South African fable, The Suit, is performed at the Young Vic until mid-June in a production directed by the legendary Peter Brook. It forms part of a unique collaboration of eight top London venues and international producers to showcase the different cultural communities in London. Themba’s short story, adapted for the stage by Barney Simon and Mothobi Mutloatse, was first performed at the Market Theatre, before touring the world for many years in a French adaptation. Brook returns to this delicate tale, using music ranging from Schubert to Miriam Makeba. It’s the story of a devoted husband who returns home to find his adored wife with another man. The lover escapes, leaving his suit behind, and the husband has his revenge by making her treat the suit as an honoured guest. 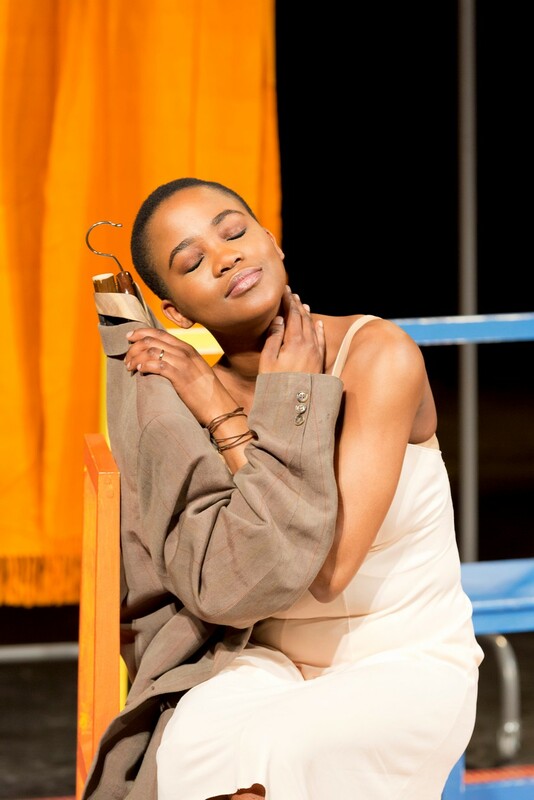 Nonhlanhla Kheswa, who plays the errant wife, is a Joburg township girl herself, who first made her break singing in The Lion King on Broadway at the age of 16. Not only does she have a glorious voice, but she is gorgeous too. Her acting skills however, don’t serve the play well, and we never really feel the anguish of the humiliated wife until right at the end. By contrast, narrator Jared McNeill and William Nadylam, as the husband, tease out all of the humour setting the scene, and make the bitter hurt and silent rage palpable. The play opens with enormous promise, but leaves one feeling it hasn’t quite delivered. The music and singing are wonderful, and the vignette of the vibrant township life beautifully drawn, but the whole feels a little slight. Perhaps as a double bill with another short play it would have been more memorable. As it stands, the fussing with the tea party, drawing audience members onto the stage and changing hats brings a wonderful levity that the savage ending undercuts, but it feels as if Brook is trying to make this whimsical story into more than it actually is.